The Argentine Hydrographic Service (official name Servicio de Hidrografia Naval, SHN) is the branch of the Ministry of Defense responsible for providing hydrographic services. Created on January 1, 1879 as Oficina Central de Hidrografía (English: Hydrographic Central Office) by decree 11.289 of President Nicolás Avellaneda. It became the current SHN on 1972 by National Law 19.922. 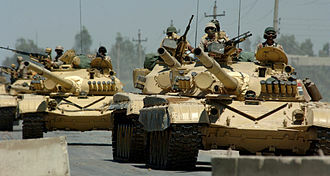 Since 2007, it became part of the Ministry of Defense. The main mission of the SHN is to provide safe navigation on national waters. The service do so with the creation and maintenance of nautical charts, coastal marker buoys, and lighthouses. In concordance to the International Maritime Organization regulations, the SHN is also the global coordinator for the NAVAREA VI zone, which covers the South West Atlantic Ocean region being responsible for emitting alerts to ships at sea and coordinating search and rescue operations. The national official time is also a responsibility of the SHN through the National Naval Observatory. By means of Decree 788/2007 it was transferred from the Argentine Navy field to the Ministry of Defense one. In February 2015 CONICET acquired the RV Sonne. ^ Buque Oceanográfico ARA "Puerto Deseado". Campaña SAMOC I – 2010. The RV Sonne is a former German fishing trawler converted into a research vessel by Schichau Unterweser AG, doing mostly geoscience-related work for a variety of commercial and scientific clients. In 2015 she was sold to the Argentine institute CONICET and was renamed ARA Austral, a new geoscientific research ship, called RV Sonne, replaced her role in Germany that same year. Rickmers Werft built Sonne in 1969 as a trawler and delivered her to Hochseefischerei Nordstern. From her homeport of Bremerhaven she operated mainly in the waters around Iceland, Sonne was converted for use in a scientific exploration role by Schichau Unterweser AG in 1977 and by Rickmers Werft in 1978. In 1991 Schichau-Seebeck-Werft lengthened and modernized her, the new ship, called Sonne, was built in Meyer Werft in Papenburg, and replaced the old Sonne in 2015. Its launch took place on 5 April 2014, the last German cruise of RV Sonne took place in August 2014, after which she was retired from German scientific use. The National Physical Laboratory is the national measurement standards laboratory for the United Kingdom, based at Bushy Park in Teddington, England. It is the largest applied physics organisation in the UK, NPL is an internationally respected centre of excellence in measurement and materials science. Since 1900, when Bushy House was selected as the site of NPL, today it provides the scientific resources for the National Measurement System financed by the Department for Business and Skills. NPL offers a range of services, applying scientific skills to industrial measurement problems. The NPL cooperates with professional networks such as those of the IET to support scientists, NPL is at the forefront of new developments in metrology, such as researching metrology for, and standardizing, nanotechnology. NPL is mainly based on the Teddington site but has a site in Huddersfield for dimensional metrology, Teddington was home to the UK National Chemical Laboratory but this was closed in 1965 and some of its work was transferred to NPL. The laboratory was run by the UK government, with members of staff being part of the civil service. Administration of the NPL was contracted out in 1995 under a GOCO model, with Serco winning the bid, under this regime, overhead costs halved, third party revenues grew by 16% per annum, and the number of peer-reviewed research papers published doubled. It was decided in 2012 to change the model for NPL from 2014 onward to include academic partners. The date of the changeover was postponed for up to a year. The laboratory transferred back to Department for Business and Skills ownership on 1 January 2015, NPL was initially sited entirely within Bushy House but grew to fill a large selection of buildings on the Teddington site. Many of these buildings were demolished and the moved to a large state-of-the-art laboratory for NPL that was built between 1998 and 2007. In January 2013 funding for a new £25m Advanced Metrology Laboratory was announced that will be built on the footprint of an unused building. H. J.
WWVH is the callsign of the U. S. National Institute of Standards and Technologys shortwave radio time signal station in Kekaha, on the island of Kauai in the state of Hawaii. WWVH is the Pacific sister station to WWV, and has a similar broadcast format, like WWV, WWVHs main function is the dissemination of official U. S. Government time, through exactly the same methods as found on WWVs signal. To minimize interference with the WWV broadcasts on the frequencies, WWVHs broadcasts on 5,10 and 15 MHz are directional. 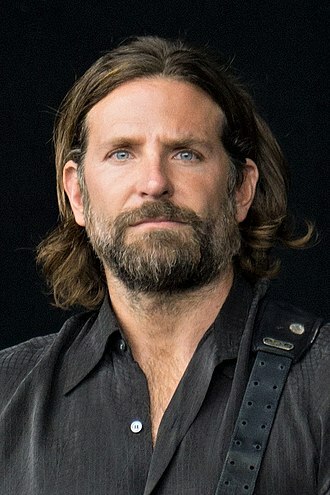 The information modulated on the carrier is modified to reduce confusion if both are received simultaneously, in particular, voice announcements on one correspond to silent periods on the other. WWVH uses a voice to distinguish itself from WWV, which uses a male voice. WWVH time signals can be accessed by telephone, WWVH broadcasts its signal on four transmitters, one for each frequency. The 2.5 MHz transmitter puts out an ERP of 5 kW, the 2.5 MHz antenna is one half-wavelength tall, and radiates in an omnidirectional pattern. The ARA Puerto Deseado is an oceanographic survey ship in service in the Argentine Navy. She has a hull in order to operate in waters around Antarctica. Puerto Deseado was built by Astilleros Argentinos Río de la Plata shipyard in Tigre, Buenos Aires and she was the first navy ship to be named upon the city of Puerto Deseado in the patagonian Santa Cruz province. During the 1982 Falklands War she served as hospital ship, on 2003 she participated on the unsuccessful attempt to find the sunken cruiser ARA General Belgrano along with a National Geographic team on the vessel Seacor Lenga. Puerto Deseado serves the CONICET, the Argentine government agency that directs and co-ordinates scientific, the ship actively participated on the summer Antarctic campaigns. Her scientific equipment includes a sensor, seismic systems, high frequency sound sonar. On 2007, Puerto Deseado and Comodoro Rivadavia, were reequipped by Kongsberg Gruppen with bathymetric systems in a program sponsored by the UNDP, on March 2010 she began studies on behalf of Repsol YPF. The Argentine Army Aviation is the army aviation branch of the Argentine Army. Their members have the rank insignia and titles as the rest of the Army. Along with its role of supporting Army operations, the Army Aviation is highly involved in humanitarian aid missions, emergency relief, medical evacuations. 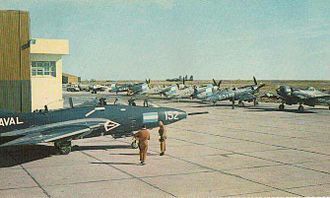 Military aviation in Argentina traces back to the Paraguayan War when, on 8 July 1867, since then, the army was the main driving force behind national aeronautical development. The use of students who relied on the selfless support of civil institutions and airclubs. 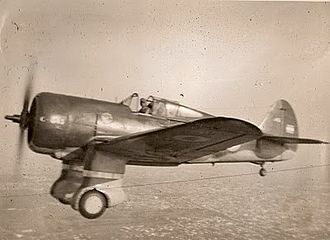 The establishment of the Army Aviation Service saw an expansion of Argentine air power in the 1912–1945 period. 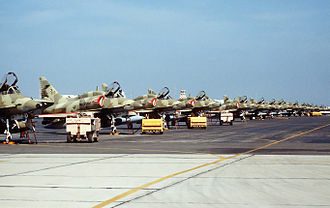 In 1956, Army Aviation was re-established within the Army and began an expansion, incorporating new types of aircraft. In 1965, using a Cessna U-17 they performed their first expedition to the South Pole, during the 1970s the service consolidated itself as an important branch of the Army receiving aircraft such as the Aeritalia G.222 transport which caused friction with the Air Force. The expansion plans continued in the early 1980s with the incorporation of the Agusta A109 utility, the dictatorship that took power in 1976 increased tensions with Chile which reached their highest point during the 1978 Operation Soberanía where the Army Aviation performed major deployments. In 1982, the Military Junta invaded the Falkland Islands triggering a war against the United Kingdom. The Argentine Army Aviation deployed 2 CH-47 Chinooks,3 Agusta A109,6 SA330 Pumas and 9 UH-1Hs to the islands and their helicopters were extensively used in Patagonia and the Army took over police MBB Bo 105s during the conflict. Six Army aviation members died in the war, two army helicopters were shot down, six destroyed on the ground, and ten were captured. Some of these captured were used by British Army and other used as targets for RAF ground attack training, after the war, the Aerospatiale Super Puma was incorporated, mainly for Antarctica support duties operating from Navys icebreaker ARA Almirante Irizar. DCF77 is a German longwave time signal and standard-frequency radio station. It started service as a station on 1 January 1959. In June 1973 date and time information was added and its primary and backup transmitter are located at 50°0′56″N 9°00′39″E in Mainflingen, about 25 km south-east of Frankfurt am Main, Germany. The transmitter generates a power of 50 kW, of which about 30 to 35 kW can be radiated via a T-antenna. DCF77 is controlled by the Physikalisch-Technische Bundesanstalt, Germanys national physics laboratory and it is operated by Media Broadcast GmbH, on behalf of the PTB. With Media Broadcast GmbH, a temporal transmission availability of at least 99. 7% per year or under 26.28 hours of annual downtime has been agreed upon, most service interruptions are short-term disconnections of under two minutes. Longer lasting transmission service interruptions are generally caused by strong winds and this manifests itself in electrical detuning of the antenna resonance circuit and hence a measurable phase modulation of the received signal. When the maladjustment is too large, the transmitter is temporarily out of service. In the year 2002 almost 99. 95% availability or just over 4.38 hours of downtime was realized, the timestamp sent is either in Coordinated Universal Time +1 or UTC+2 depending on daylight saving time. The highly accurate 77.5 kHz carrier signal is generated from local atomic clocks that are linked with the German master clocks at the PTB in Braunschweig, the DCF77 time signal is used for the dissemination of the German national legal time to the public. Radio clocks and watches have been popular in Europe since the late 1980s and, in mainland Europe. The DCF77 station signal carries an amplitude-modulated, pulse-width coded 1-bit/s data signal, the same data signal is phase modulated onto the carrier using a 512-bit long pseudorandom sequence. The transmitted data signal is repeated every minute, since 2003,14 previously unused bits of the time code have been used for civil defence emergency signals. This is a service, aimed to one day replace the German network of civil defence sirens. The National Research Council is the primary national research and technology organization of the Government of Canada, in science and technology research and development. The Minister of Innovation and Economic Development is responsible for the National Research Council, the transformation of the NRC into an RTO that focuses on business-led research was part of the federal governments Economic Action Plan. With these services, NRC intends to shorten the gap between early research and development and commercialization. NRC now has over 30 approved programs, NRC is a Government of Canada organization. It’s mandate is set out in the National Research Council Act, in 2011, NRC President John R. McDougall, began to oversee a change in research focus away from basic research and towards industrial-relevant research. This included the development of programs, shifting research budget out of existing research. The NRC was not involved in this area of prior to the arrival of Mr. McDougall. The Canadian Wheat Improvement Program is a collaboration with Agriculture and Agri-Food Canada, the University of Saskatchewan’s Crop Development Centre. Working with breeders and scientists at the Crop Development Centre and at AAFC, the GaN Electronics program supports partner research and development activities with a goal of ensuring that GaN technology will create wealth and a greener future for Canadians. NRC is the only Canadian foundry for GaN electronics, and offers both normally-on and normally-off devices, the GaN500v2 Foundry Design Kit was released on June 28,2014. The NRC is managed by a governing council, current members of the council are, Patricia Béretta, PhD. Wayne Gulliver, President Newlab Clinical Research Inc. James P, louise Proulx, PhD, Vice-President, Product Development, Topigen Pharmaceuticals Inc. Close to 4,000 people across Canada are employed by the NRC, in addition, the Council employs guest workers from universities and public and private-sector organizations. The NRC was established in 1916 under the pressure of World War I to advise the government on matters of science, in 1932, laboratories were built on Sussex Drive in Ottawa. The IMO was established in Geneva in 1948 and came into force ten years later, meeting for the first time in 1959. Headquartered in London, United Kingdom, the IMO has 172 Member States, IMO is governed by an assembly of members and is financially administered by a council of members elected from the assembly. The work of IMO is conducted through five committees and these are supported by technical subcommittees, other UN organisations may observe the proceedings of the IMO. Observer status is granted to qualified non-governmental organisations, IMO is supported by a permanent secretariat of employees who are representative of the organisations members. Hitherto such international conventions had been initiated piecemeal, notably the Safety of Life at Sea Convention, the first meetings of the newly formed IMCO were held in London in 1959. More recently SOLAS has been amended to bring a focus on maritime security through the International Ship. The IMO has increased its focus on air emissions from ships, in January 1959, IMO began to maintain and promote the 1954 OILPOL Convention. Under the guidance of IMO, the convention was amended in 1962,1969, as oil trade and industry developed, many people in the industry began to recognize a need for further improvements in regards to oil pollution prevention at sea. Among other things, the accident forced the industry and public to question the efficacy of standing regulations. 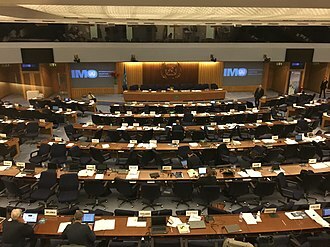 This incident prompted a series of new conventions, IMO held an emergency session of its Council to deal with the need to readdress regulations pertaining to maritime pollution. 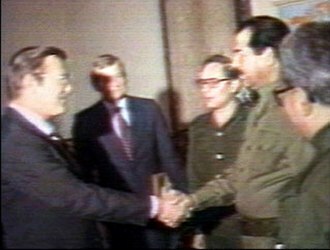 In 1969, the IMO Assembly decided to host a gathering in 1973 dedicated to this issue. The goal at hand was to develop an international agreement for controlling general environmental contamination by ships out at sea. During the next few years IMO brought to the forefront a series of measures designed to prevent large ship accidents and it detailed how to deal with the environmental threat caused by routine ship duties such as the cleaning of oil cargo tanks or the disposal of engine room wastes. The lighthouse of Aveiro, on the west coast of Portugal. Admiral William Brown, founder of the Argentine Navy. Super Étendard, the Exocet platform. A US guided missile frigate and an Argentine maritime patrol aircraft during joint operations in Panama. Gral. 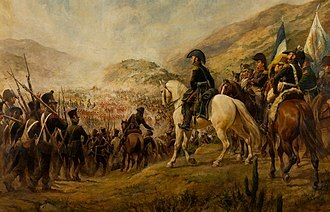 José de San Martín during Battle of Chacabuco, 1817. Argentine infantry soldiers in Paraguayan War illustrated by Ange-Louis Janes for L'Illustration, 1864). The Argentine army soldiers with standard uniform in 1938. Note the similarity with the uniforms of the Wehrmacht. F9F Cougar and F4U Corsairs, BACE, 1960s. Argentine Marines AAV in the Falklands patrolling Port Stanley, 1982. Fokker F28 T-01 at Marambio Base, Antarctica, 1973. 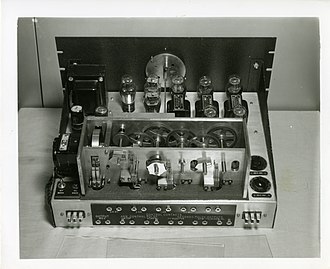 Alongside weekly broadcasts over WWV, in May 1920 the Bureau of Standards presented the "portaphone", with which one could "receive wireless impulses in the form of signals, music or speech, reproducing the same through a loud-speaking telephone and horn". Table of geography, hydrography, and navigation, from a 1728 Cyclopaedia. Laboratory vibration damping. The mass of the blue concrete slab is 140 000 kg.